EastEnders is a British soap opera that has aired on BBC One since 19 February 1985. It has been nominated for a variety of different awards including 19 British Academy Television Awards (nine wins), 13 Royal Television Society Programme Awards (four wins), 24 Television and Radio Industries Club (TRIC) Awards (15 wins) and 332 British Soap Awards (84 wins). Its first award, for Favourite Programme, was given by the Anna Scher Theatre on 24 January 1986. At the British Academy Television Awards, EastEnders has won the Best Soap or Best Continuing Drama Award eight times, in 1999, 2000, 2002, 2006, 2010, 2011, 2013, and 2016, with a further eight nominations (2001, 2003, 2007, 2008, 2009, 2012, 2014 and 2015), and Best Drama Series once, in 1997. The show has received 21 nominations in the Most Popular Serial Drama category at the National Television Awards, which it has won 12 times. It has also won Best Soap at the Royal Television Society Programme Awards four times, in 2002, 2009, 2010 and 2011, with further nominations in 2004, 2005, 2006, 2012, 2013, 2014, 2015, 2016 and 2017. At The British Soap Awards, it has won Best British Soap 11 times, Best Storyline four times and Best Single Episode three times. In 2013, Adam Woodyatt won a lifetime achievement award for his portrayal of Ian Beale. The show has won Inside Soap's Best Soap Award every year from 1996 to 2006, from 2008 to 2012, and in 2014. In the TV Choice awards, it won Best Soap in 1999, from 2001 to 2003, in 2006, from 2008 to 2012, in 2014 and 2015. In March 2009, EastEnders won its third TRIC award in the category TV Soap of the Year, having also won similar categories at the British Soap Awards, National Television Awards, TV Choice Awards, and Inside Soap Awards within 10 months. EastEnders' Executive Producer Diederick Santer commented that this was due to having "the most talented cast and crew in the business, and the most fantastic and dedicated audience." Several different EastEnders actors have received acting award nominations for their performances in the show. June Brown is the only EastEnders actor to receive a nomination at the British Academy Television Awards and Patsy Palmer is the only one to be nominated in the Royal Television Society Programme Awards. Simon May won a TRIC award in 1986 for the EastEnders theme tune. Co-creator Tony Holland and writer Tony Jordan have also been honoured. As of 22 December 2017[update], EastEnders has been nominated for over 1200 awards and won more than 370. The British Academy Television Awards are awarded annually by the British Academy of Film and Television Arts (BAFTA). EastEnders has received 16 British Academy Television Awards nominations and has won eight of them. It won the award for Best Drama Series in 1997 and has been nominated for Best Continuing Drama or Best Soap 14 times, winning in 1999, 2000, 2002, 2006, 2010, 2011, 2013, 2014 and 2016. June Brown was nominated in 2009 for Best Actress, the first time a soap opera actress was nominated in this category since Jean Alexander who played Hilda Ogden in Coronation Street in 1988. She was the favourite to win the award, but lost out to Anna Maxwell Martin. June Brown is the only EastEnders actor to receive a British Academy Television Awards nomination. The National Television Awards were first awarded in 1995. The show has received a total of 22 nominations in the Most Popular Serial Drama category, which it has won 12 times. Several actors have also been nominated for Most Popular Actor, Most Popular Actress, Most Popular Newcomer and Outstanding Serial Drama Performance. The most successful EastEnders actors at the National Television Awards is Lacey Turner, with a total of seven nominations and four wins. EastEnders is the first soap to have won all four top awards in a single year, in 2003, when it won the awards Most Popular Actor, Most Popular Actress, Most Popular Newcomer and Most Popular Serial Drama. Lucy Benjamin received a National Television Award nomination for Most Popular Actress in 2001. Adam Woodyatt was nominated in the Outstanding Serial Drama Performance category at the 2008 National Television Awards. Lacey Turner has received six nominations at the National Television Awards, three of which she has won. Bonnie Langford has been shortlisted in the Serial Drama Performance category at the 2019 National Television Awards. The Royal Television Society Programme Awards ceremony takes place every March in central London. EastEnders has been nominated in the Soap category (Soap and Continual Drama from 2007 onwards) 11 times, and has won four times, in 2002, 2009, 2010 and 2011. In 2009, episodes were submitted to a panel from "Whitney Week", a week of episodes centred around the character of Whitney Dean, played by Shona McGarty. In 2011, Lindsay Coulson's portrayal of Carol Jackson was praised by the judges, following the death of her son Billie Jackson (Devon Anderson). Actress Patsy Palmer was also nominated in the Actor Female category in 1998 for her portrayal of Bianca Jackson. The Television and Radio Industries Club (TRIC) Awards were established in 1969. They are awarded annually and are voted for by members of the television and radio industry. EastEnders has won a total of 12 awards, including Best TV Theme Music in 1987 (awarded to Simon May), TV Soap Personality in 2007, 2011 and 2013 (awarded to Lacey Turner, Jessie Wallace and Shane Richie respectively), New TV Talent in 2004 (Christopher Parker), five awards for TV Soap of the Year, in 2002, 2008, 2009, 2010 and 2012, and the TRIC Special Award in 2010, presented to Barbara Windsor for her 15 years playing the character Peggy Mitchell. The British Soap Awards began in 1999 and EastEnders has since won the award for Best British Soap 11 times. Six categories (Best British Soap, Best Actor, Best Actress, Villain of the Year, Sexiest Male and Sexiest Female) are voted for by the public, the rest by a panel. Adam Woodyatt won a lifetime achievement award in 2013 for his portrayal of Ian Beale since 1985. In 2018, an award was given jointly for the first time, as the "Scene of the Year" award received equal numbers of votes for EastEnders and Doctors. Ross Kemp has won the British Soap Award for Best Actor twice, in 1999 and 2006. Michelle Ryan was nominated for Best Actress at the British Soap Awards in 2005. Patsy Palmer won Best Actress at the British Soap Awards in 2000. Shane Richie won Best Actor at the British Soap Awards in 2005. 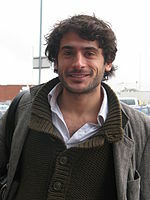 Marc Elliot won the British Soap Award for Best Newcomer in 2010 for his portrayal of Syed Masood. The Inside Soap Awards are voted for by readers of Inside Soap magazine. EastEnders won the Best British Soap award ten years running, from 1997 to 2006. It lost out in 2007 to Coronation Street but won the award again every year from 2008 to 2012. Lacey Turner has won the Best Actress award for her role as Stacey Slater four times. Barbara Windsor won an Inside Soap Lifetime Achievement Award in 2001. Letitia Dean won an Inside Soap Lifetime Achievement Award in 2005. Zöe Lucker was nominated for Best Newcomer at the Inside Soap Awards in 2010. The TV Choice Awards, awarded by TV Choice magazine, began in 1997 as the TV Quick Awards. Between 2005 and 2009 they were known as the TV Quick and TV Choice Awards. They are voted for by readers of the magazine. Martin Kemp won Best Soap Actor for three years running at the TV Quick Awards, in 2000, 2001 and 2002. Entertainment website Digital Spy hosted the Digital Spy Soap Awards in 2008, where EastEnders won seven of the 14 categories. From 2014, Digital Spy held the Digital Spy Reader Awards. In 2014, EastEnders won all five awards in the soaps category. Jo Joyner won Digital Spy's "Most Popular Actress" award in 2008. Kellie Bright won Digital Spy's "Best Female Soap Actor" award in 2014. The All About Soap Awards (formerly The All About Soap Bubble Awards) are presented by All About Soap magazine and voted for by the public. They started in 2002. The TV Now Awards are awarded annually by Irish magazine TV Now. In 2007, actor Steve McFadden won in the Male Soap Star category and Lacey Turner won the Hot Young Talent award. In 2009, Barbara Windsor won the Soap Legend Award for her portrayal of Peggy Mitchell. In the TV Times Awards, which began in 1969 and are awarded by TV Times magazine, actress Lacey Turner won Favourite Soap Star in 2008 and 2009 and EastEnders received a further three nominations in 2009 including Favourite Soap Star for Barbara Windsor. Turner won and Windsor was nominated again in 2010. In 1985, Simon May was nominated for an Ivor Novello Award for Best TV Theme of the Year, for the EastEnders theme tune. It failed to win, but in 1986 the song "Every Loser Wins", which was written by May for a storyline in the show involving the character of Simon Wicks (Nick Berry) and his band The Banned, won the Ivor Novello Award for Best Selling Single. EastEnders has won four Mental Health Media Awards in the category 'Soaps and Continual Dramas' for its portrayal of mental health issues. EastEnders was given an award in 1997 for the storyline of Joe Wicks (Paul Nicholls) developing schizophrenia. Jessie Wallace received the 2002 award for her portrayal of Kat Slater, a woman who had been raped by her uncle as a teenager and attempted suicide when he returned later in her life. The award was won again in 2006 for the storyline involving Stacey Slater and her mentally ill mother Jean. The show was nominated again in 2009 but lost to Pobol y Cwm, however, it won the 'Making a Difference' award. In 2010, EastEnders won in the 'soaps' category again for the storyline involving Stacey Slater. EastEnders has also won the "Doing Media Differently" in 2009 from the Royal Association for Disability Rights, for the number of characters portrayed with disabilities and illnesses. In 2006, EastEnders received a prestigious Rose d'Or at the international television awards ceremony in Lucerne, Switzerland for its continuing success over 21 years. Actor Shane Richie also won a Rose d'Or in 2004 for best performance in a soap. In 2006, Wendy Richard (Pauline Fowler) was named Most Popular TV Personality at the Variety Club Awards. The award was voted for by readers of the Daily Express newspaper. And the entire cast and crew won the Variety Club BBC Personality of the Year in 1997. In February 2009, actress Tiana Benjamin, who plays Chelsea Fox, was voted Favourite Female TV Star at the Screen Nation Awards, which celebrate international achievement within black world cinema and television, by the public. She was nominated for Best UK Actress at the 2009 Black International Film Festival and Music Video & Screen Awards, and Rudolph Walker, who plays Patrick Trueman, received the Lifetime Achievement Award. At the same ceremony, EastEnders was nominated for Best UK Drama with a Black Cast. In 2011, EastEnders stars received five Screen Nation nominations, two others—Ellen Thomas (Grace Olubunmi) and Sharon Duncan-Brewster (Trina Johnson)—received special mentions, and EastEnders itself received one nomination. In 2012, EastEnders and EastEnders: E20 stars received four nominations, with actress Modupe Adeyeye receiving a special mention. In the Daily Star Soaper Star Awards, launched in 2008 and voted for by readers of the newspaper, EastEnders won the first Best Soap award as well as awards for Best Actor and Best Newcomer. EastEnders has also won a Banff World Television Festival Award, a Smash Hits T4 Pollwinners' Party award, two Pye Awards, an Anna Scher Theatre Award and an SOS Star Award. Rudolph Walker won an Ethnic Multicultural Media Award in 2002. John Partridge won a Stonewall Award for Entertainer of the Year in 2010. ^ a b c d e f g h Smith, Julia; Holland, Tony (1987). EastEnders - The Inside Story. Book Club Associates. ISBN 978-0-563-20601-9. ^ a b "EastEnders wins TV Soap of the Year". EastEnders. BBC Online. 11 March 2009. Archived from the original on 17 March 2009. Retrieved 7 April 2009. ^ a b "Bafta nod for EastEnders' Brown". BBC News. 24 March 2009. Retrieved 26 March 2009. ^ "Television Nominations 1996". British Academy of Film and Television Arts. Retrieved 27 March 2009. ^ "Television Nominations 1998". British Academy of Film and Television Arts. Retrieved 27 March 2009. ^ "Full list of Bafta TV award winners". BBC News. 10 May 1999. Retrieved 26 March 2009. ^ "Television Nominations 1999". British Academy of Film and Television Arts. Retrieved 27 March 2009. ^ "Television Nominations 2000". British Academy of Film and Television Arts. Retrieved 27 March 2009. ^ "Television Nominations 2001". British Academy of Film and Television Arts. Retrieved 27 March 2009. ^ "Television Nominations 2002". British Academy of Film and Television Arts. Retrieved 27 March 2009. ^ "Television Nominations 2005". British Academy of Film and Television Arts. Retrieved 27 March 2009. ^ "Television Nominations 2006". British Academy of Film and Television Arts. Retrieved 27 March 2009. ^ "Television Nominations 2007". British Academy of Film and Television Arts. Retrieved 27 March 2009. ^ "Television Nominations 2008". British Academy of Film and Television Arts. Retrieved 27 March 2009. ^ "Television Awards Nominations in 2010". British Academy of Film and Television Arts. 10 May 2010. Archived from the original on 23 August 2010. Retrieved 10 May 2010. ^ "Television Awards Nominees and Winners in 2011". British Academy of Film and Television Arts. 26 April 2011. Archived from the original on 12 June 2011. Retrieved 24 May 2011. ^ Radio Times staff (24 April 2012). "Bafta TV Awards 2012 nominees - who do you think should win?". Radio Times. Retrieved 2 May 2012. ^ Bell, Amy (12 May 2013). "BAFTA Television Awards 2013: Winners in full". Digital Spy. Retrieved 13 May 2013. ^ Lawrence, Ben (7 April 2014). "Bafta TV Awards 2014: the nominations". The Daily Telegraph. Retrieved 28 June 2014. ^ Jeffery, Morgan (18 May 2014). "BAFTA Television Awards 2014: All the winners". Digital Spy. Retrieved 28 June 2014. ^ "Television in 2015 - BAFTA Awards". British Academy of Film and Television Arts. Archived from the original on 6 March 2016. Retrieved 6 March 2016. ^ Lazarus, Susanna (8 May 2016). "BAFTA TV Awards 2016: EastEnders wins Best Soap and Continuing Drama". Radio Times. Retrieved 9 May 2016. ^ "Bafta TV awards 2017: full list of winners". The Guardian. 14 May 2017. Retrieved 12 June 2017. ^ a b c d "The countdown begins...". Inside Soap. Attic Futura (UK) Ltd (37): 34, 35. September 1995. ^ a b c d e f g h i j k l m n o p q r s t u v w x y "Roll-call of Winners, all chosen by YOU!". National Television Awards. Retrieved 19 June 2013. ^ a b c d e f g h i j k l m n o p q r s t u v w x y z aa ab ac ad ae af ag ah ai aj ak al am an ao ap aq ar as at au av aw ax ay "Awards for "EastEnders"". Internet Movie Database. Retrieved 27 March 2009. ^ a b c d e f g h i "EastEnders: Britain's award-winning, top-rating show, now celebrating its 15th successful year" (PDF). BBC. 2000. Archived from the original (PDF) on 7 May 2006. Retrieved 2 April 2010. ^ a b "Viewers' favourites to be revealed". BBC News. 27 October 1998. Retrieved 28 March 2009. ^ a b c "TV stars prepare for battle". BBC News. 19 October 1999. Retrieved 28 March 2009. ^ a b "Thaw's double TV victory". BBC News. 27 October 1999. Retrieved 28 March 2009. ^ "TV favourites battle it out". BBC News. 10 October 2000. Retrieved 28 March 2009. ^ a b "National TV Awards snub This Morning". BBC News. 14 July 2002. Retrieved 28 March 2009. ^ a b c "Ant and Dec win trio of TV awards". BBC News. 15 October 2002. Retrieved 28 March 2009. ^ a b c d "EastEnders dominates awards". BBC News. 28 October 2003. Retrieved 28 March 2009. ^ a b "Forsyth nominated for TV awards". BBC News. 12 October 2004. Retrieved 28 March 2009. ^ a b "Has Patsy put Emmerdale on a winning streak?". Daily Mail. Associated Newspapers. 13 October 2004. Retrieved 30 January 2011. ^ a b c d Thomas, Liz (12 October 2005). "Time Lord to battle Housewives at National Television Awards". The Stage. London. Retrieved 30 January 2011. ^ a b "Dr Who up for hat-trick of awards". CBBC Newsround. 25 October 2005. Retrieved 28 March 2009. ^ a b c d e "National Television Awards". thecustard.tv. Archived from the original on 17 December 2007. Retrieved 1 February 2011. ^ McTaggart, Suzanne (1 November 2006). "Emmerdale's Sammy wows them at TV awards as Tardis duo take prizes". Yorkshire Evening Post. Leeds. Retrieved 30 January 2011. ^ a b "National Television Awards: The winners". ITV. 31 October 2007. Archived from the original on 2 February 2008. Retrieved 27 March 2009. ^ a b c "National Television Awards". EastEnders. BBC Online. 15 October 2007. Archived from the original on 17 October 2007. Retrieved 9 December 2016. ^ a b "Cowell wins lifetime award". ITV. Retrieved 27 March 2009. ^ "National Television Awards". EastEnders. BBC Online. 7 July 2008. Archived from the original on 19 April 2013. Retrieved 28 March 2009. ^ a b c "National Television Awards 2009". EastEnders. BBC Online. 7 September 2009. Archived from the original on 10 September 2009. Retrieved 7 September 2009. ^ a b "NTAs nominations announced". STV. 5 January 2010. Retrieved 6 January 2010. ^ "Doctor Who scoops two National TV awards". BBC News Online. 20 January 2010. Retrieved 20 January 2010. ^ Wightman, Catriona (21 September 2010). "National Television Awards 2011 - Nominees". Digital Spy. Retrieved 21 September 2010. ^ Blackburn, Jen (3 January 2011). "Have your say in 2011 NTA awards". The Sun. London. Retrieved 3 January 2011. ^ a b c Wightman, Catriona (27 September 2011). "National Television Awards 2012: The nominees". Digital Spy. Retrieved 28 September 2011. ^ a b Radio Times staff (2 January 2012). "National Television Awards - the nominees". Radio Times. Immediate Media Company. Retrieved 5 January 2012. ^ "National Television Awards: the winners in full". The Daily Telegraph. London: Telegraph Media Group. 26 January 2012. Retrieved 26 January 2012. ^ a b Fletcher, Alex (22 September 2012). "National Television Awards 2013: Longlist nominations in full - vote". Digital Spy. Retrieved 2 October 2012. ^ a b c "National Television Awards 2013: All The Winners Including Ant And Dec, 'Coronation Street's Alan Halsall, Miranda Hart". The Huffington Post UK. AOL UK. 23 January 2013. Retrieved 24 January 2013. ^ a b c Kilkelly, Daniel (17 September 2013). "Corrie, EastEnders, Emmerdale, Hollyoaks stars up for NTAs - full list". Digital Spy. Retrieved 20 September 2013. ^ a b c Fletcher, Alex (7 January 2014). "National Television Awards: The shortlist - In Full". Digital Spy. Retrieved 7 January 2014. ^ a b c "National Television Awards 2014: EastEnders' Rachel Wilde leads the way for worst-dressed". Daily Mail. 22 January 2014. Retrieved 28 June 2014. ^ a b c Kilkelly, Daniel (14 October 2014). "National Television Awards 2015 - Which soap stars made the long list?". Digital Spy. Retrieved 10 January 2015. ^ a b c Kilkelly, Daniel (10 January 2015). "EastEnders leads National Television Awards 2015 soap nominations". Digital Spy. Retrieved 10 January 2015. ^ a b Fletcher, Harry (21 January 2015). "National Television Awards 2015 winners in full - I'm a Celebrity, more". Digital Spy. Retrieved 14 February 2015. ^ a b c "National Television Awards 2016 longlist nominees announced". BBC. 6 October 2015. Retrieved 9 December 2016. ^ a b c "National Television Awards 2016 shortlist nominees announced". BBC. 5 January 2015. Retrieved 9 December 2016. ^ a b c "National Television Awards 2016: Winners list - BBC News". BBC News. 20 January 2016. Retrieved 21 January 2016. ^ a b c Harp, Justin (3 January 2017). "National Television Awards reveals its 2017 nominees. Check out the full rundown of each category". Digital Spy. Retrieved 4 January 2017. ^ a b c Burnip, Laura; Hughes, David (25 January 2017). "Who won at the National Television Awards 2017 and what happened on the night? Here's all you need to know". The Sun. Retrieved 3 February 2017. ^ a b c McCreesh, Louise (10 October 2017). "Here are all the nominees for the National TV Awards 2018". Digital Spy. Retrieved 10 October 2017. ^ a b Lazarus, Susanna (9 January 2018). "Who are the NTA nominees? When are the National Television Awards?". Radio Times. Retrieved 20 January 2018. ^ Kaplan, Iliana (23 January 2018). "National Television Awards: Full list of 2018 winners". The Independent. Retrieved 27 January 2018. ^ a b c Mitchell, Bea (7 January 2019). "EastEnders' Danny Dyer and Emmerdale's Emma Atkins are among the National Television Awards 2019 soap nominees". Digital Spy. Hearst Magazines UK. Retrieved 9 January 2019. ^ a b Harp, Justin (16 October 2018). "Here are all the nominees for the National TV Awards 2019, including Strictly, Doctor Who and Ant & Dec". Digital Spy. Hearst Magazines UK. Retrieved 9 January 2019. ^ "About". Royal Television Society. Archived from the original on 13 April 2009. Retrieved 28 March 2009. ^ "RTS award success". EastEnders. BBC Online. 18 March 2009. Archived from the original on 22 March 2009. Retrieved 29 March 2009. ^ a b heatworld (16 March 2011). "Eastenders beats Coronation Street at the Royal Television Awards". Heat. London: Bauer Media Group. Archived from the original on 19 March 2011. Retrieved 16 March 2011. ^ a b "RTS Programme Awards 1997". Royal Television Society. Archived from the original on 22 March 2009. Retrieved 28 March 2009. ^ "RTS Programme Awards 2001". Royal Television Society. Archived from the original on 22 March 2009. Retrieved 28 March 2009. ^ "RTS Programme Awards 2003". Royal Television Society. Archived from the original on 22 March 2009. Retrieved 28 March 2009. ^ "RTS Programme Awards 2008". Royal Television Society. Archived from the original on 22 March 2009. Retrieved 28 March 2009. ^ Moody, Mike (17 March 2010). "'X Factor', 'Talent' snubbed at RTS Awards". Digital Spy. Retrieved 17 March 2010. ^ Kilkelly, Daniel (20 March 2012). "'Coronation Street' named top soap at RTS Programme Awards". Digital Spy. Retrieved 30 March 2012. ^ "Sheridan Smith up for Royal Television Society award". BBC News. BBC Online. 1 March 2013. Retrieved 2 March 2013. ^ Walker-Arnott, Ellie (20 March 2013). "Royal Television Society Programme Awards - the winners in full". Radio Times. Immediate Media. Retrieved 26 March 2013. ^ "RTS Programme Awards 2015". Royal Television Society. Retrieved 6 March 2016. ^ "RTS Awards 2016 full nominations: Channel 4's Catastrophe and Chewing Gum star Michaela Coel lead the way". Radio Times. 3 March 2016. Retrieved 6 March 2016. ^ "RTS Programme Awards 2016". Royal Television Society. Retrieved 12 June 2017. ^ "RTS Programme Awards 2017". Royal Television Society. Retrieved 12 June 2017. ^ a b Kilkelly, Daniel (9 March 2010). "'EastEnders' in TRIC soap triumph". Digital Spy. Retrieved 9 March 2010. ^ "2002 TRIC Award Winners". The Television and Radio Industries Club. Archived from the original on 1 July 2012. Retrieved 27 March 2009. ^ "2004 TRIC Award Winners". The Television and Radio Industries Club. Archived from the original on 14 March 2011. Retrieved 30 January 2011. ^ "2007 TRIC Award Winners". The Television and Radio Industries Club. Archived from the original on 10 May 2013. Retrieved 27 March 2009. ^ "2007 TRIC Award Nominees". The Television and Radio Industries Club. Archived from the original on 3 October 2011. Retrieved 27 March 2009. ^ "2008 TRIC Award Winners". The Television and Radio Industries Club. Archived from the original on 10 March 2009. Retrieved 27 March 2009. ^ "2009 TRIC Award Winners". The Television and Radio Industries Club. Archived from the original on 14 December 2013. Retrieved 27 March 2009. ^ "2009 TRIC Award Nominees". The Television and Radio Industries Club. Archived from the original on 10 March 2009. Retrieved 27 March 2009. ^ "2010 TRIC Award Nominees". The Television and Radio Industries Club. Archived from the original on 1 March 2010. Retrieved 9 March 2010. ^ a b Kilkelly, Daniel (9 March 2010). "TRIC Awards 2010: The Winners". Digital Spy. Retrieved 9 March 2010. ^ "2010 TRIC Award Nominees". The Television and Radio Industries Club. Archived from the original on 1 March 2010. Retrieved 13 February 2010. ^ "2011 TRIC Award Nominees". The Television and Radio Industries Club. Archived from the original on 11 March 2011. Retrieved 8 March 2011. ^ "2011 TRIC Award Winners". The Television and Radio Industries Club. Archived from the original on 12 March 2011. Retrieved 8 March 2011. ^ "TRIC Awards 2012 Winners". The Television and Radio Industries Club. Archived from the original on 3 April 2013. Retrieved 14 March 2012. ^ "TRIC Awards 2012 Nominees". The Television and Radio Industries Club. Archived from the original on 25 February 2012. Retrieved 14 March 2012. ^ "The TRIC Awards 2013 - Nominees". Television and Radio Industries Club. Archived from the original on 17 May 2013. Retrieved 12 March 2013. ^ "The TRIC Awards 2013 - Winners". Television and Radio Industries Club. 12 March 2013. Archived from the original on 8 May 2013. Retrieved 12 March 2013. ^ Kilkelly, Daniel (11 March 2014). "Coronation Street, Hollyoaks win at TRIC Awards 2014". Digital Spy. Retrieved 28 June 2014. ^ a b "2015 TRIC Awards Winners". The Television And Radio Industries Club. Retrieved 3 May 2015. ^ a b "2017 TRIC Award Nominees". Television and Radio Industries Club. Retrieved 28 February 2017. ^ a b c Deen, Sarah (14 March 2017). "EastEnders star June Brown wins big at the Tric Awards as soap stars pay tribute". Metro. Retrieved 15 March 2017. ^ a b c d e f g h i j k l m n o Kilkelly, Daniel (18 May 2013). "British Soap Awards 2013 - winners in full". Digital Spy. Retrieved 19 May 2013. ^ a b c d e Warner, Sam (2 June 2018). "British Soap Awards 2018 sees Coronation Street win Best British Soap". Digital Spy. Retrieved 2 June 2018. ^ a b c d e "EastEnders cleans up soap awards". BBC News. 28 May 2000. Retrieved 27 March 2009. ^ a b c d e "EastEnders triumph at UK soap awards". BBC News. 26 May 2001. Retrieved 27 March 2009. ^ a b c d e f g h "EastEnders sweeps soap awards". BBC News. 19 May 2002. Retrieved 27 March 2009. ^ a b c d e f g h i j k l m n o p "The British Soap Awards 2003". Celebrities Worldwide. 10 May 2003. Archived from the original on 2 September 2013. Retrieved 2 September 2013. ^ a b c d e "EastEnders wins battle of soaps". BBC News. 8 May 2004. Retrieved 27 March 2009. ^ a b c d e f g h i j k l m n o p q r s t u v w x y z aa ab ac ad ae af ag ah ai aj ak al am an ao ap aq ar as at au av aw ax ay az "British Television Soap Awards". thecustard.tv. Archived from the original on 2 February 2008. Retrieved 20 April 2009. ^ a b c d "Street triumphs at TV soap awards". BBC News. BBC. 8 May 2005. Retrieved 30 January 2011. ^ "June Brown as Dot Cotton in EastEnders: her best clips". The Guardian. London: Guardian News and Media Limited. 20 April 2009. Retrieved 20 April 2009. ^ a b c d e f "EastEnders beats Corrie at awards". BBC News. 21 May 2006. Retrieved 27 March 2009. ^ a b c d e f g h "British Soap Awards: The Winners". Sky Showbiz. Sky TV. 22 May 2006. Archived from the original on 19 May 2009. Retrieved 30 January 2011. ^ a b c "Lacey Turner wins at the British Soap Awards". EastEnders. BBC Online. 26 May 2007. Archived from the original on 23 August 2007. Retrieved 27 March 2009. ^ a b c d "Hollyoaks scoops six soap awards". BBC News. 4 May 2008. Retrieved 27 March 2009. ^ a b c d e Green, Kris; KilKelly, Daniel (10 May 2009). "British Soap Awards 2009: The Winners". Digital Spy. Retrieved 10 May 2009. ^ a b c d e f g h "Vote in the British Soap Awards". EastEnders. BBC Online. 23 February 2009. Archived from the original on 26 February 2009. Retrieved 29 March 2009. ^ a b c d e Green, Kris (5 May 2009). "British Soap Awards 2009: Full Panel Shortlist". Digital Spy. Retrieved 5 May 2009. ^ a b c "British Soap Awards shortlist". BBC Online. 5 May 2009. Archived from the original on 8 May 2009. Retrieved 5 May 2009. ^ a b c d e f g h i j k l m n o p q r Green, Kris; Kilkelly, Daniel (9 May 2010). "British Soap Awards 2010: The Winners". Digital Spy. Retrieved 8 May 2010. ^ a b "British Soap Awards 2011: Full list of winners". stv.tv. STV. 15 May 2011. Retrieved 15 May 2011. ^ a b c d e f g h Kilkelly, Daniel (7 March 2011). "British Soap Awards 2011 voting opens". London: Digital Spy. Archived from the original on 7 March 2011. Retrieved 7 March 2011. ^ a b c d e f g Kilkelly, Daniel (18 April 2011). "British Soap Awards 2011 shortlist revealed". Digital Spy. Retrieved 18 April 2011. ^ a b c d e f g h i "The British Soap Awards 2011: Nominations". ITV Press Centre. ITV. 2 May 2011. Archived from the original on 6 May 2011. Retrieved 3 May 2011. ^ a b c d e f g h i j k l m n o p Kilkelly, Daniel (29 April 2012). "British Soap Awards 2012 - winners in full". Digital Spy. Retrieved 30 April 2012. ^ a b c d e f g h i "British Soap Awards 2012 voting opens, nominations revealed". Digital Spy. 27 February 2012. Retrieved 26 March 2012. ^ a b c d Kilkelly, Daniel (11 March 2013). "British Soap Awards 2013 voting opens, nominations revealed - Soaps News - Digital Spy". Digital Spy. Retrieved 12 March 2013. ^ a b c d e f g h i j k l m Kilkelly, Daniel (22 April 2013). "'Coronation Street' leads British Soap Awards shortlist". Digital Spy. Retrieved 22 April 2013. ^ a b c d Kilkelly, Daniel (17 March 2014). "British Soap Awards 2014 voting opens, longlist announced". Digital Spy. Retrieved 10 July 2014. ^ a b c d e f g h i j k l "British Soap Awards 2014: Short list voting opens". EastEnders. BBC Online. 28 April 2014. Retrieved 10 July 2014. ^ a b c d e f g h i j k l m Kilkelly, Daniel; Dainty, Sophie (25 May 2014). "British Soap Awards 2014 - winners in full". Digital Spy. Retrieved 10 July 2014. ^ a b c d Kilkelly, Daniel (30 March 2015). "British Soap Awards 2015 voting opens, longlist announced". Digital Spy. Retrieved 27 April 2015. ^ a b c d e f g h i j k l Kilkelly, Daniel (27 April 2015). "EastEnders tops British Soap Awards 2015 shortlist". Digital Spy. Retrieved 27 April 2015. ^ a b c d e f g h i j k l m Kilkelly, Daniel; Dainty, Sophie (16 May 2015). "Who won at British Soap Awards 2015? See winners list in full". Digital Spy. Retrieved 16 May 2015. ^ a b c Kilkelly, Daniel (4 April 2016). "British Soap Awards 2016 nominations: Which Corrie, EastEnders, Emmerdale and Hollyoaks stars are up?". Digital Spy. Retrieved 4 April 2016. ^ a b c d e f g h i j k l m Brown, David (3 May 2016). "British Soap Awards 2016 - the shortlist revealed!". Radio Times. Retrieved 3 May 2016. ^ a b c d e f g h i j k l m n Lindsay, Duncan (28 May 2016). "From EastEnders to Emmerdale The British Soap Awards 2016: Full winners list revealed!". Metro. Retrieved 29 May 2016. ^ a b c d e f g h i j k l Lindsay, Duncan (9 May 2017). "British Soap Awards 2017 shortlist for EastEnders, Corrie, Emmerdale, Hollyoaks and Doctors". Metro. Retrieved 23 May 2017. ^ Fillingham, Hanna (6 June 2017). "The British Soap Awards 2017: Full Winners List: Spoiler Alert". Hello!. Retrieved 13 June 2017. ^ a b c Kilkelly, Daniel (10 April 2018). "British Soap Awards 2018 nominations revealed: Which Coronation Street, EastEnders, Emmerdale, Hollyoaks and Doctors stars are up?". Digital Spy. Retrieved 10 April 2018. ^ a b c d e f g h i j k l Kilkelly, Daniel (1 May 2018). "Coronation Street tops the British Soap Awards 2018 nominations shortlist as the full nominations are revealed". Digital Spy. Retrieved 1 May 2018. ^ a b c d e f "Rival soaps tie on awards night". BBC News. 26 September 2006. Retrieved 27 March 2009. ^ a b c d e "Coronation Street takes TV crown". BBC News. 25 September 2007. Retrieved 27 March 2009. ^ a b c d e f Green, Kris (29 September 2008). "'Enders cleans up at Inside Soap Awards". Digital Spy. Retrieved 27 March 2009. ^ a b c d e f "Inside Soap awards: full list of winners". The Daily Telegraph. London: Telegraph Media Group. 27 September 2010. Retrieved 27 September 2010. ^ a b c d e f g Littlejohn, Georgina (28 September 2011). "Inside Soap Awards 2011: EastEnders is the big winner with the Square's young ladies leading the red carpet glamour as the soap scoops five awards". Daily Mail. London: Associated Newspapers. Retrieved 28 September 2011. ^ "And the winner's are...". Inside Soap. Attic Futura (UK) Ltd (9): 22–23. May 1993. ^ "Vote in The Inside Soap Awards 2001". Inside Soap. 32-34. Attic Futura (UK) Ltd (33). 18–31 August 2001. ^ "Awards success for EastEnders". BBC News. 30 September 2002. Retrieved 27 March 2009. ^ a b c d e "EastEnders scoops eight soap awards". BBC News. 29 September 2003. Retrieved 27 March 2009. ^ a b c d "EastEnders takes narrow soap win". BBC News. 28 September 2004. Retrieved 5 February 2017. ^ a b c d e "EastEnders on top at soap awards". BBC News. 27 September 2005. Retrieved 27 March 2009. ^ "Inside Soap Awards 2007". EastEnders. BBC Online. 24 September 2007. Archived from the original on 14 October 2007. Retrieved 31 March 2009. ^ "Coronation Street to defend crown". BBC News. 15 July 2008. Retrieved 27 March 2009. ^ a b Allen, Liam (29 September 2008). "EastEnders dominates soap awards". BBC News. Retrieved 28 March 2009. ^ a b c d e Green, Kris (28 September 2009). "'EastEnders' tops Inside Soap Awards 2009". Digital Spy. Retrieved 28 September 2009. ^ a b c d e f g h i j k l m n o p q "Vote in the Inside Soap Awards". EastEnders. BBC Online. 7 July 2009. Archived from the original on 13 July 2009. Retrieved 8 July 2009. ^ a b c d e f g h i "Inside Soap Awards shortlist announced". EastEnders. BBC Online. 22 September 2009. Archived from the original on 27 September 2009. Retrieved 23 September 2009. ^ a b c d e f g h i j k l m n o Catriona, Wightman (13 July 2010). "In Full: Inside Soap Awards 2010 Nominees". Digital Spy. Archived from the original on 27 October 2010. Retrieved 13 July 2010. ^ a b c d e f g h i j k l m n "In Full: Inside Soap Awards 2011 Nominees". Digital Spy. 11 July 2011. Retrieved 11 July 2011. ^ a b c d e f g h i j k l m n "2011 Inside Soap Awards shortlist revealed". The List. 20 September 2011. Retrieved 26 September 2011. ^ a b c d e f "2012 winners". Inside Soap. Hearst Magazines UK. Archived from the original on 25 September 2012. Retrieved 25 September 2012. ^ a b c d e f g h Kilkelly, Daniel (19 July 2012). "Inside Soap Awards 2012 - longlist nominees in full". Digital Spy. Retrieved 16 July 2012. ^ a b c d e f g h Kilkelly, Daniel (17 September 2012). "'Coronation Street' leads Inside Soap Awards 2012 shortlist". Digital Spy. Retrieved 18 September 2012. ^ a b c d e f g h i j Dainty, Sophie (22 July 2013). "Inside Soap Awards 2013 - longlist nominees in full". Digital Spy. Retrieved 2 August 2013. ^ a b c d e f g h i j Rigby, Sam (15 October 2013). "'Coronation Street' leads Inside Soap Awards 2013 shortlist". Digital Spy. Retrieved 16 October 2013. ^ a b c d e f g h i j Kilkelly, Daniel (21 October 2013). "Inside Soap Awards 2013 - winners list in full". Digital Spy. Retrieved 22 October 2013. ^ a b c d e f g h i j k Dainty, Sophie (29 July 2014). "Inside Soap Awards 2014 longlist revealed". Digital Spy. Retrieved 29 July 2014. ^ a b c d e f g h i j k l m Dainty, Sophie (14 July 2015). "Inside Soap Awards 2015 longlist revealed: Who's in line for Best Actor, Actress and Newcomer?". Digital Spy. Retrieved 14 July 2015. ^ a b c d e f g h i j k l m Sandwell, Ian (29 September 2015). "EastEnders and Emmerdale lead 'final four' shortlists for the Inside Soap Awards 2015". Digital Spy. Retrieved 29 September 2015. ^ a b c d e f g h i j k l m Duncan, Amy (6 October 2015). "EastEnders Who killed Lucy Beale? plot gets just deserts at Inside Soap Awards". Metro. Retrieved 6 October 2015. ^ Sandwell, Ian (21 June 2016). "Inside Soap Awards 2016 longlist revealed". Digital Spy. Retrieved 23 June 2016. ^ Lindsay, Duncan (26 September 2016). "Coronation Street, EastEnders, Emmerdale: Inside Soap Awards shortlist is revealed". Metro. Retrieved 4 October 2016. ^ "Inside Soap Awards: Emmerdale beats EastEnders to top prize". BBC News. 4 October 2016. Retrieved 4 October 2016. ^ Harp, Justin (22 August 2017). "Coronation Street, EastEnders, Emmerdale and Hollyoaks all make the Inside Soap Awards longlist". Digital Spy. Hearst Magazines UK. Retrieved 21 August 2017. ^ Davies, Megan (24 July 2018). "Inside Soap Awards 2018 full longlist revealed: Which Corrie, EastEnders, Emmerdale and Hollyoaks stars are up?". Digital Spy. Retrieved 21 November 2018. ^ Kilkelly, Daniel (16 October 2018). "Coronation Street tops Inside Soap Awards 2018 shortlist with 18 nominations". Digital Spy. Retrieved 21 November 2018. ^ "Coronation Street wins big at soap awards". BBC News. 23 October 2018. Retrieved 21 November 2018. ^ "EastEnders cleans up". BBC News. 3 September 1998. Retrieved 28 March 2009. ^ "Square win for Eastenders". BBC News. 6 September 1999. Retrieved 28 March 2009. ^ "Ali G takes top TV award". BBC News. 4 September 2000. Retrieved 28 March 2009. ^ "EastEnders triumph at TV awards". BBC News. 11 September 2001. Retrieved 28 March 2009. ^ "EastEnders sweeps TV awards". BBC News. 9 September 2002. Retrieved 28 March 2009. ^ "EastEnders cleans up at TV Quick Awards". CBBC Newsround. 9 September 2003. Retrieved 28 March 2009. ^ "Street wins top soap at TV awards". BBC News. 7 September 2004. Retrieved 28 March 2009. ^ "Emmerdale bucks trend at soap awards". inthenews.co.uk. 6 September 2005. Archived from the original on 14 April 2007. Retrieved 28 March 2009. ^ "EastEnders scoops best soap". EastEnders. BBC Online. 5 September 2006. Archived from the original on 9 March 2007. Retrieved 28 March 2009. ^ Deans, Jason (4 September 2007). "Coronation Street leads ITV awards success". The Guardian. London: Guardian Media Group. Retrieved 28 March 2009. ^ "Awards haul for Coronation Street". BBC News. 4 September 2007. Retrieved 28 March 2009. ^ "Viewers' chance to vote". EastEnders. BBC Online. 3 July 2007. Archived from the original on 11 September 2007. Retrieved 28 March 2009. ^ "TV Quick and TV Choice Awards". BBC News. 9 September 2008. Retrieved 31 March 2009. ^ Hardie, Beth (25 June 2008). "TVQuick and TVChoice Award nominations announced". Daily Mirror. Retrieved 27 April 2009. ^ Martin, Lara (8 September 2009). "TV Quick & TV Choice Awards: The Winners". Digital Spy. Retrieved 8 September 2009. ^ "Vote in the TV Quick Awards 2009". EastEnders. BBC Online. 30 June 2009. Archived from the original on 3 July 2009. Retrieved 30 June 2009. ^ "Vote in the TV Quick Awards 2009". EastEnders. BBC Online. 19 May 2009. Retrieved 19 May 2009. ^ "Emmerdale scores TV Choice hat-trick". BBC News. BBC. 6 September 2010. Retrieved 7 September 2010. ^ "Vote online in the TVQuick and TVChoice Awards!". EastEnders. BBC Online. 17 May 2010. Archived from the original on 14 February 2011. Retrieved 13 June 2017. ^ Garrett, Daniel (14 September 2011). "TV Choice Awards 2011: The Winners". ATV Today. Retrieved 14 September 2011. ^ Wightman, Catriona (18 May 2011). "In Full: TV Choice Awards 2011 – Nominees". Digital Spy. Retrieved 22 May 2011. ^ "TV Choice Awards 2011 nominations revealed". The List. 28 June 2011. Retrieved 28 June 2011. ^ Daniels, Colin (10 September 2012). "TVChoice Awards 2012: The winners - In full". Digital Spy. Retrieved 11 September 2012. ^ Nickie (22 May 2012). "Vote in the TVChoice Awards". EastEnders. BBC Online. Retrieved 29 May 2012. ^ Kilkelly, Daniel (3 July 2012). "TV Choice Awards 2012 - soap nominees in full". Digital Spy. Retrieved 6 July 2012. ^ a b c d Rigby, Sam (2 July 2013). "'EastEnders' leads TVChoice Awards 2013 soaps shortlist". Digital Spy. Retrieved 3 July 2013. ^ a b c d Methven, Nicola (10 September 2013). "TV Choice Awards 2013: Pictures from the red carpet as television favourites celebrate in style". Daily Mirror. Trinity Mirror. Retrieved 11 September 2013. ^ a b c d e "TV Choice Awards 2014". EastEnders. BBC Online. 27 May 2014. Retrieved 10 July 2014. ^ a b c d e Dainty, Sophie (8 July 2014). "EastEnders leads shortlist nominations for the TV Choice Awards". Digital Spy. Retrieved 10 July 2014. ^ a b c d e f Rigby, Sam (8 September 2014). "Sherlock, EastEnders lead winners at TVChoice Awards 2014". Digital Spy. Retrieved 9 September 2014. ^ a b c d Denham, Jess (19 May 2015). "TV Choice Awards 2015 nominations: Poldark and Broadchurch head up longlist". The Independent. Retrieved 30 June 2015. ^ a b c d McGeorge, Alistair (30 June 2015). "Top Gear gets TV Choice Awards 2015 nomination for Best Entertainment Show after emotional farewell". Daily Mirror. Retrieved 30 June 2015. ^ a b c d "TV Choice Awards longlist voting begins". BBC Online. 17 May 2016. Retrieved 3 June 2016. ^ a b c d "Full list of nominees for the TVChoice Awards 2016". BT Group. 29 June 2016. Retrieved 6 September 2016. ^ a b c d "Full list of winners at the 2016 TV Choice Awards". AOL Entertainment UK. 5 September 2016. Retrieved 6 September 2016. ^ "Vote Now!". TV Choice Awards. TV Choice. Archived from the original on 20 May 2017. Retrieved 20 May 2017. ^ "2017 Winners — TV Choice Awards". TV Choice. 4 September 2017. Retrieved 22 December 2017. ^ Pearce, Tilly (26 June 2018). "TV Choice Awards 2018: Peaky Blinders and Poldark lead the nominees". Metro. Retrieved 29 June 2018. ^ a b Kilkelly, Daniel (24 December 2014). "EastEnders sweeps the board in 2014 Digital Spy Readers Awards". Digital Spy. Retrieved 24 December 2014. ^ Green, Kris (18 December 2009). "'EastEnders' named Soap Of The Year 2009". Digital Spy. Retrieved 23 December 2009. ^ Green, Kris (23 December 2009). "Windsor honoured as DS Soap Icon". Digital Spy. Retrieved 23 December 2009. ^ Eames, Tom (24 December 2016). "Your Digital Spy Reader Awards soap winners of 2016: Emmerdale wins SIX awards". Digital Spy. Retrieved 24 December 2016. ^ Robinson, Abby (28 December 2018). "Emmerdale wins big at the Digital Spy Reader Awards 2018". Digital Spy. Hearst Magazines UK. Retrieved 31 December 2018. ^ a b c d e "EastEnders are nominated for 10 awards!". EastEnders. BBC Online. 16 February 2010. Archived from the original on 14 February 2011. Retrieved 16 February 2010. ^ a b c "Eastenders is sitting pretty". Daily Star Sunday. 4 March 2007. Archived from the original on 6 March 2007. Retrieved 29 March 2009. ^ a b c d e f g "Bubble Awards 2007". EastEnders. BBC Online. 1 March 2007. Archived from the original on 1 March 2007. Retrieved 31 March 2009. ^ a b c "Lacey and Jo clean up in the Bubble awards". EastEnders. BBC Online. 1 April 2008. Archived from the original on 9 April 2008. Retrieved 27 March 2009. ^ a b c d "All About Soap Bubble Awards". EastEnders. BBC Online. 19 February 2008. Archived from the original on 2 April 2008. Retrieved 28 March 2009. ^ a b c "EastEnders scoop up Bubbles Awards!". EastEnders. BBC Online. 31 March 2009. Archived from the original on 3 April 2009. Retrieved 31 March 2009. ^ a b c d e "Vote now in the Bubble Awards". EastEnders. BBC Online. 17 February 2009. Archived from the original on 21 February 2009. Retrieved 28 March 2009. ^ a b c d e Hill, Susan (28 March 2010). "EastEnders comes out top at Bubbles Awards". Daily Star. Retrieved 28 March 2010. ^ a b c Kilkelly, Daniel (27 March 2011). "In Full: All About Soap Bubble winners". Digital Spy. Retrieved 17 May 2011. ^ a b c d Kilkelly, Daniel (13 February 2011). "In Full: All About Soap Bubble nominations". Digital Spy. Retrieved 13 February 2011. ^ a b c d e f g h Kilkelly, Daniel (25 March 2012). "All About Soap Awards 2012: Full winners list". London: Digital Spy. Retrieved 27 March 2012. ^ a b c d e f g h Kilkelly, Daniel (24 March 2013). "All About Soap Awards 2013". Digital Spy. Retrieved 26 March 2013. ^ a b c "Soap stars clean up at TV awards". Irish Independent. 23 April 2007. Retrieved 28 March 2009. ^ a b "2009 Winners Announced". TV Now. 20 April 2009. Archived from the original on 18 August 2009. Retrieved 21 April 2009. ^ "Best Soap". TV Now. Archived from the original on 29 March 2009. Retrieved 10 April 2009. ^ a b "Favourite Male Soap Star". TV Now. Archived from the original on 29 March 2009. Retrieved 10 April 2009. ^ a b "Favourite Male Soap Star". TV Now. Archived from the original on 14 April 2008. Retrieved 10 April 2009. ^ "Favourite Soap Couple". TV Now. Archived from the original on 13 June 2008. Retrieved 10 April 2009. ^ "Favourite Soap". TV Now. Archived from the original on 14 April 2008. Retrieved 24 April 2010. ^ a b "Favourite Male Soap Star". TV Now. Archived from the original on 14 April 2008. Retrieved 24 April 2010. ^ a b c "Favourite Female Soap Star". TV Now. Archived from the original on 14 April 2008. Retrieved 24 April 2010. ^ a b "Walkers Favourite Soap Family". TV Now. Archived from the original on 14 April 2008. Retrieved 24 April 2010. ^ a b "All the 2009 TV Times Awards winners!". TV Times. 29 November 2009. Archived from the original on 20 February 2012. Retrieved 12 January 2010. ^ "Favourite Newcomer Nominees". TV Times. Archived from the original on 12 January 2010. Retrieved 12 January 2010. ^ "Favourite Soap Star Nominees". TV Times. Archived from the original on 12 January 2010. Retrieved 12 January 2010. ^ "Favourite Double Act Nominees". TV Times. Archived from the original on 12 January 2010. Retrieved 12 January 2010. ^ "All the 2010 TV Times Awards winners!". What's on TV. IPC Media. 1 December 2010. Archived from the original on 2 April 2012. Retrieved 4 December 2010. ^ Taylor-Davids, Jackson (28 September 2010). "TV Times Awards shortlist announced". beecareful.info. Retrieved 29 September 2010. ^ a b "Favourite Soap Star Nominees". What's on TV. IPC Media. Archived from the original on 7 December 2011. Retrieved 7 December 2011. ^ a b "Favourite Soap Star Nominees". What's on TV. IPC Media. Archived from the original on 23 October 2012. Retrieved 23 October 2011. ^ "All the 2012 TV Times Awards winners!". What's on TV. IPC Media. Retrieved 1 February 2013. ^ "TV Times Awards – Favourite Soap Star". What's on TV. Retrieved 30 September 2016. ^ "TV Times Awards – Favourite Newcomer". What's on TV. Retrieved 30 September 2016. ^ a b c "Simon May" (PDF). CitySpeakers International. Archived from the original (PDF) on 19 July 2011. Retrieved 12 August 2009. ^ a b "News: NEWS IN BRIEF - WICKS WINS MENTAL HEALTH AWARD FOR EASTENDERS" (pdf). Broadcast: 8. 10 October 1997. Retrieved 21 February 2017 – via ProQuest. ^ a b "EastEnder wins mental health award". BBC News. 18 October 2002. Retrieved 27 March 2009. ^ a b "Mental Health Media Awards 2006". EastEnders. BBC Online. 5 September 2006. Archived from the original on 7 February 2007. Retrieved 27 March 2009. ^ a b "2006 Shortlisted entries and Winners". Mental Health Media Awards. Archived from the original on 21 November 2008. Retrieved 27 March 2009. ^ a b "EastEnders win mental health award". Metro. Associated Newspapers. 25 November 2009. Retrieved 6 January 2010. ^ a b Kilkelly, Daniel (23 November 2010). "'EastEnders' wins mental health gong". Digital Spy. Retrieved 23 November 2010. ^ a b "Radar, the UK's largest disability campaigning organisation announce EastEnders as winners!". EastEnders. BBC Online. 1 December 2009. Archived from the original on 4 December 2009. Retrieved 8 December 2009. ^ a b c "Rose d'Or honour for EastEnders". BBC News. 27 April 2006. Retrieved 28 March 2009. ^ a b "Variety Award for TV's Walliams". BBC News. 20 November 2006. Retrieved 31 March 2009. ^ a b "Tiana wins Screen Nation Award!". EastEnders. BBC Online. 10 February 2009. Archived from the original on 16 February 2009. Retrieved 29 March 2009. ^ a b "Rudolph Walker to receive Lifetime Achievement Award". EastEnders. BBC Online. 23 October 2009. Archived from the original on 26 October 2009. Retrieved 25 October 2009. ^ a b c d e f Nickie (13 October 2011). "EastEnders nominated for Screen Nation Awards and MVSAs". BBC EastEnders blog. BBC Online. Retrieved 6 November 2011. ^ a b c d e "Official nominations & winners list 2012/13". Screen Nation. Archived from the original on 7 November 2012. Retrieved 21 January 2013. ^ a b c d "Soaper Star Awards". Daily Star. 4 February 2008. Retrieved 27 March 2009. ^ "Asian Media Awards 2015 winners celebrated at star studded event". Manchester Evening News. 30 October 2015. Retrieved 30 October 2015. ^ "Attitude Awards 2014: The winners in full". Attitude. Retrieved 15 December 2016. ^ a b "EastEnders hit a hat-trick at awards ceremony!". BBC Online. 5 November 2009. Archived from the original on 8 November 2009. Retrieved 5 November 2009. ^ a b c d "EastEnders up for four MVSAs". EastEnders. BBC Online. 4 October 2012. Retrieved 6 October 2012. ^ a b c d "EastEnders wins two MVSAs". EastEnders. BBC Online. 29 October 2012. Retrieved 31 October 2012. ^ "Movie Video & Screen Awards". Black International Film Festival. Archived from the original on 21 April 2016. Retrieved 21 April 2016. ^ a b "2017 Winners Announced". Black International Film Festival. 31 October 2017. Retrieved 24 March 2018. ^ "X Factor judge Dannii Minogue wins Cosmopolitan's TV personality award". The Daily Telegraph. London: Telegraph Media Group. 11 November 2009. Retrieved 11 November 2009. ^ French, Dan (5 November 2009). "'Skins', 'Big Brother' for Diversity Awards". Digital Spy. Retrieved 5 November 2009. ^ Wightman, Catriona (30 November 2010). "'EastEnders', 'Gypsy Wedding' win awards". Digital Spy. Retrieved 2 December 2010. ^ "Rudolph Walker". Ethnic Multicultural Media Academy. Retrieved 21 April 2009. ^ "7th NatWest EMMA Awards". Ethnic Multicultural Media Academy. 25 May 2004. Retrieved 21 April 2009. ^ "Mental Health Media Awards 2009 shortlist announced". Mind. 22 September 2009. Retrieved 30 October 2009. ^ "EastEnders nominated for Mind Media Award". EastEnders. BBC Online. 12 September 2012. Retrieved 2 October 2012. ^ "Media Awards Shortlist 2013". Independent Age. Archived from the original on 30 October 2013. Retrieved 28 October 2013. ^ "The Older People in the Media Awards 2013 winners". Independent Age. Retrieved 28 June 2014. ^ Brook, Stephen (29 June 2005). "Race awards for Atkinson documentary and Coronation Street". The Guardian. London: Guardian News and Media Limited. Retrieved 25 April 2009. ^ "Vote for the Radio Times Creative Diversity Network Soap Award". Radio Times. BBC Magazines. 25 September 2012. Retrieved 2 October 2012. ^ "Screen Nation Awards Nominations 2007". Screen Nation. p. 31. Archived from the original on 1 September 2011. Retrieved 19 July 2010. ^ "Screen Nation Awards reveals winners for 2009 awards show" (PDF). Screen Nation. Archived from the original (PDF) on 28 July 2011. Retrieved 27 March 2009. ^ Allen, Annika (3 November 2008). "Screen Nation nominations announced". Flavour Magazine. Retrieved 19 July 2010. ^ a b "Winners of the 2011 Screen Nation Awards". Screen Nation. 17 October 2011. Archived from the original on 25 April 2012. Retrieved 12 November 2011. ^ a b "Screen Nation Film & TV Awards 2013 Official Winners". Facebook. Retrieved 19 February 2013. ^ Rainey, Naomi (22 October 2010). "Soaps nominated for Stonewall award". Digital Spy. Retrieved 23 October 2010. ^ Kilkelly, Daniel (5 November 2010). "Corrie, Partridge win Stonewall Awards". Digital Spy. Retrieved 5 November 2010. ^ Nickie (6 December 2011). "E20 Producer Deborah Sathe wins Creative Innovation Award". EastEnders. BBC Online. Retrieved 7 December 2011. ^ "BBC bags four Banff awards". Digital Spy. 12 June 2007. Retrieved 27 March 2009. ^ "2010 Program Catalogue". Banff World Television Festival. Retrieved 2 October 2012. ^ a b "BBC Radio 1 Teen Awards Winners 2014". BBC Online. Retrieved 3 May 2015. ^ Wightman, Catriona (30 November 2010). "In Full: Broadcast Awards 2011 nominations". Digital Spy. Retrieved 1 December 2010. ^ Wightman, Catriona (3 February 2012). "Broadcast Awards 2012: Winners in full". Digital Spy. Retrieved 26 April 2013. ^ Tobin, Christian (31 January 2013). "Broadcast Awards 2013 winners list: The Chase, Educating Essex, more". Digital Spy. Retrieved 26 April 2013. ^ "Broadcast Awards 2014: winners in full". Broadcast. 5 February 2014. Retrieved 15 December 2016. ^ Harris, Jamie (5 February 2015). "EastEnders named Best Soap at Broadcast Awards 2015". Digital Spy. Retrieved 14 February 2015. ^ "Best soap: Emmerdale". Broadcast Awards. 10 February 2016. Retrieved 10 February 2016. ^ "Freesat :: Audience Vote". Freesat. Archived from the original on 7 June 2013. Retrieved 7 June 2013. ^ Dainty, Sophie (18 June 2014). "Coronation Street wins Best British Soap at Freesat TV Award". Digital Spy. Retrieved 28 June 2014. ^ a b c "IARA Awards - International Achievement Recognition Awards - Winners". International Achievement Recognition Awards. Archived from the original on 3 September 2017. Retrieved 3 September 2017. ^ a b c "IARA Awards - International Achievement Recognition Awards - News". International Achievement Recognition Awards. Archived from the original on 3 September 2017. Retrieved 3 September 2017. ^ "Nomination - Categories 1-15". Promax UK. Archived from the original on 2 April 2010. Retrieved 2 April 2010. ^ "EastEnders voted best show". BBC. 21 November 2005. Archived from the original on 9 July 2006. Retrieved 27 March 2009. ^ "Virgin Media TV Award winners! Best Soap". Virgin Media. Archived from the original on 27 January 2012. Retrieved 13 June 2017. ^ "Virgin Media TV Awards: Best Soap". Virgin Media. Archived from the original on 27 January 2012. Retrieved 27 January 2012. ^ "Virgin Media TV Awards: Character Of The Year". Virgin Media. Archived from the original on 27 January 2012. Retrieved 27 January 2012. ^ a b "Virgin Media TV Awards: Best Newbie". Virgin Media. Archived from the original on 27 January 2012. Retrieved 27 January 2012. ^ "Virgin Media TV Awards: Best Baddie". Virgin Media. Archived from the original on 27 January 2012. Retrieved 27 January 2012. ^ "Virgin Media TV Awards: Most Explosive TV Moment Of The Year". Virgin Media. Archived from the original on 27 January 2012. Retrieved 27 January 2012. ^ Kelly, Kirsty (3 May 2011). "'EastEnders E20' wins Webby drama award". Digital Spy. Retrieved 4 May 2011. ^ "15th Annual Webby Awards". EastEnders: E20. London: BBC Online. 13 April 2011. Retrieved 13 April 2011. ^ "The Webby Awards: EastEnders E20". The Webby Awards. Archived from the original on 15 April 2011. Retrieved 13 April 2011. ^ "General Writers' Guild Awards shortlists announced". Writers' Guild of Great Britain. 16 September 2011. Archived from the original on 23 February 2015. Retrieved 18 December 2018.